When realtor Keith Schultz was going to the University of Saskatoon in the mid 1970s, he studied theoretical physics. So how does someone taking education in that field end up in real estate and recently celebrate being an agent with RE/MAX for 40 years? 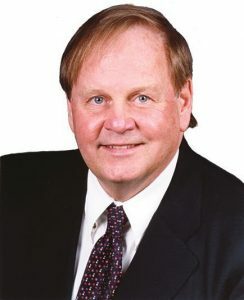 In 1978, he moved to Calgary and became a realtor. His first office was the first RE/MAX office to open in Canada with one secretary and four agents. It operated as RE/MAX South. Schultz spent 25 years at that office and then the last 15 years at RE/MAX Central. 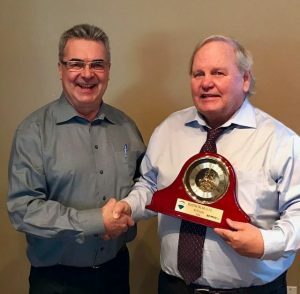 “I’ve been with RE/MAX longer than anybody else in Canada. A lot of people tend to think it probably started in Toronto. No, it started in Calgary. Toronto, they opened an office in 1982 I think going by memory,” says Schultz, who was recently recognized by the real estate firm for his long-term commitment to the brand. As to why real estate has appealed to Schultz for such a long period of time, he immediately states that he loves selling and the variety of people that he meets all the time. And he loves meeting them in all stages of their lives. In a way you become part of the family as a realtor. He says success in the business is all about action. Many people take extensive training and they have the right ideas but they don’t follow through with action. “So if you want to be successful you have to bear that in mind,” explains Schultz. Another piece of advice he has for young realtors just embarking on their careers is that when you plan your career make sure you include some fun. Using the mathematical and scientific side of his brain, he did a study one year where he was graphing time off versus income. If you ask most sales people if you take time off you’re going to lose money but funny enough, he says, it’s the exact opposite. So how long does he figure he will continue being a realtor?